IF YOU RECEIVE THIS VIA EMAIL YOU WILL NEED TO GO TO THE BLOG SITE TO VIEW THE VIDEOS. Held in the last days of August, the administrators’ meeting and conference is a key event for many districts across North America, and it is no different in West Vancouver. So, last week we made our first effort at taking some of the aspects of an unconference to create a more participant-driven event for district principals and vice-principals. While the unconferencing allowed for more unstructured time, it also gave everyone the opportunity to make their own sense of session content. Three videos (embedded below) were shown for morning discussions, and served as a spring-board when groups pulled their learning together for PechaKucha presentations in the afternoon. And just what is a PechaKucha? It is a series of 20 presentation slides, each displayed on the screen for 20 seconds (we modified it to 10 slides, for 20 seconds because of time constraints). Our group found the process valuable in creating their presentations because it forced debate on the key aspects of learning. If we debrief videos during a professional learning experience, we are rarely pushed to come up with key messages or takeaways. Definitely, the process built-in some accountability for us. The PechaKucha format (20×20) also impressed upon us to be succinct in our presentations. If we went over the 20 seconds with one of our slides, we were cutting into the time of one of our own group members. 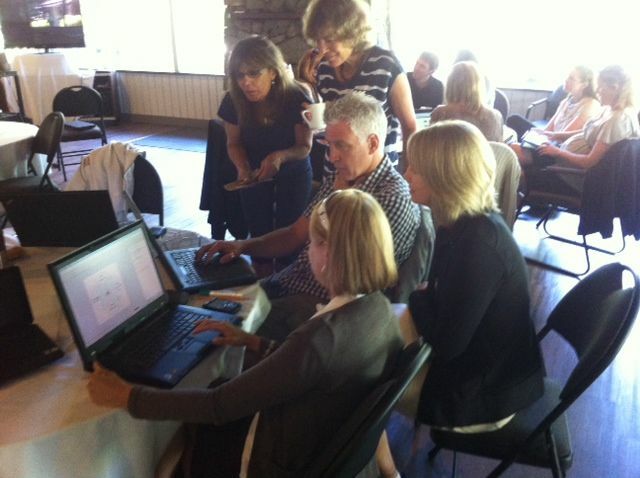 In selecting the videos, principals and vice-principals wanted material that challenged our assumptions and that linked to a number of themes we have been discussing: inquiry, motivation, assessment and technology. 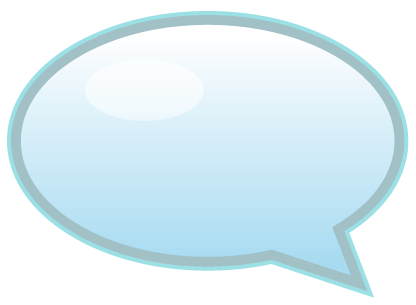 Thirty to 45 minutes of unstructured discussion followed each video and participants could discuss any aspect of the video with anyone. We also created a learning wall where each person wrote one key finding or idea from the video or conversation. Then, after lunch, participant groups of four to eight people put together and tried their hand at PechaKucha. It turned out to be a very powerful way to synthesize and share our learning, and created a takeaway product that can be used for other purposes — more valuable than the binders of notes I have taken at events and have never looked at again. As we continue to look for ways to change how we share information, and particularly how we use Powerpoint, PechaKucha is another strategy that has possibilities for both student and adult learning. 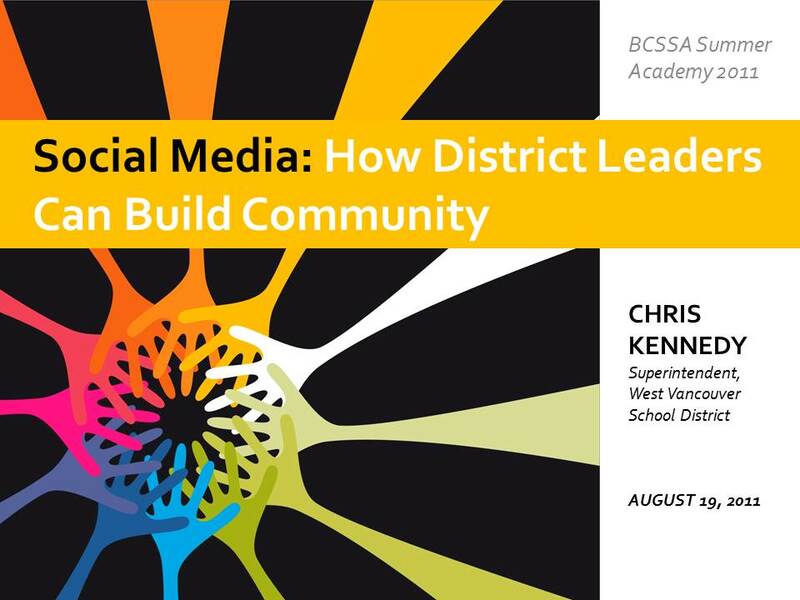 This Friday, I am presenting at the British Columbia School Superintendents Association (BCSSA) Summer Academy on how district leaders can use social media to build community. I have embedded the slides below but, as always, they only tell part of the story. This presentation is a departure from the one I gave two years ago at the same event (linked here) which focussed on Student Engagement in an Age of Distraction. It focussed on the changes taking place inside and outside of education, while the new presentation is more about how we can use the new technology as part of how we can lead the change. In fact, if we want to have an influence and presence as education leaders, our participation in digital space is no longer optional. There are always risks as we expose ourselves more publicly, but social media allows us to tell our own stories in our own words, to connect to new people and new ideas across roles and geography, and to model for others in our system — students, staff and parents — continuous learning. I am closing with the quote: “don’t talk about it . . . be about it”. This is a call to all of us who lead in education because we need to model the way. There is more content about social media, education and building community in this presentation, and in the coming weeks I will devote a number of separate posts to share this information.